Although this week's League assignment may seem like a chore, I have a feeling that most people with an affection for pop culture nerdery have their short list in the backs of their minds just like I do. While I'd love to impress everyone with ten obsucre titles here, I'd be willing to bet that many of the movies in my Top 10 list will be seen many times over in the lists of others. First, the honorable mentions -- the ones that I love but just didn't quite make the list. Appeal in 12 Words or Less: To make a long story short....too late. Appeal in 12 Words or Less: A powerful 90 minute sociology lesson. 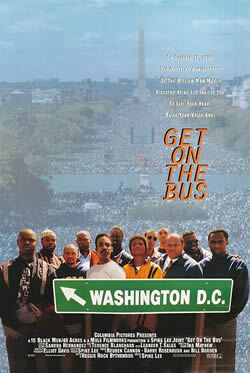 Spike Lee's best. Appeal in 12 Words or Less: Comparable to backyard baseball games in my neighborhood. 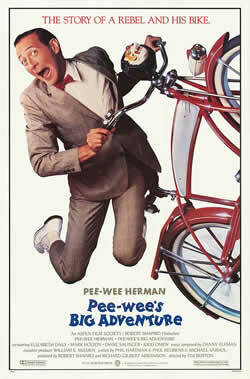 Appeal in 12 Words or Less: My parents hated Pee-Wee Herman. Appeal in 12 Words or Less: Ridiculous story. I want to hang out with Dinger. 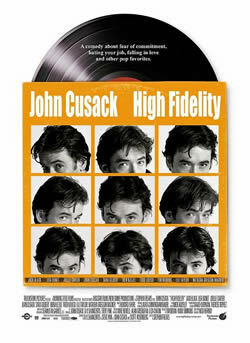 Appeal in 12 Words or Less: My rainy day, go-to movie. Appeal in 12 Words or Less: Much of my inspiration for working in education. Seriously. Appeal in 12 Words or Less: Capable of bringing out Christmas spirit in a rock. 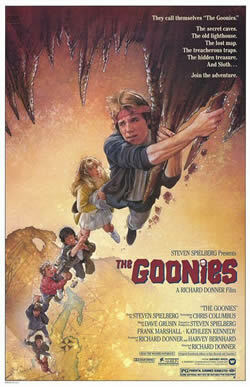 Appeal in 12 Words or Less: Every kid's dream come true. Action-packed fun. Appeal in 12 Words or Less: Time travel? Whatever. Skateboard and Walkman? Awesome! Appeal in 12 Words or Less: Story of my life. Kind of. A little bit. Appeal in 12 Words or Less: The coolest kid in the history of cool kids. 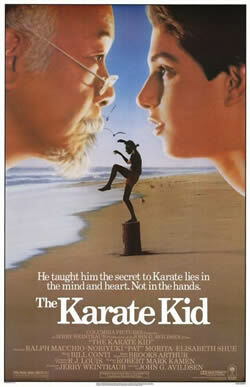 Appeal in 12 Words or Less: Underdog gets the girl...and kicks the bully in the face. I'm a huge Michael Jackson fan and have seen two of the movies on here for only that reason...Get On The Bus features a pretty obscure MJ song at the beginning...and Dream a Little Dream has the bizarre multiple MJ references. cool list. The MJ song from Get On the Bus is great. Took me a while to track it down but was glad when I finally found it. 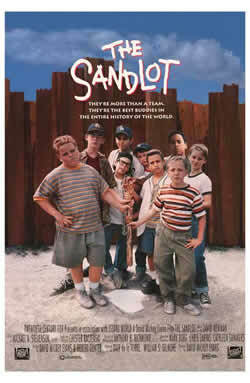 Might have to watch that one tonight. OMFG, not only am I in awe of how fast you put this together but ANYONE that has the Poison Ivy movie WITHOUT Drew Barrymore as one of their top 10....wow, just wow. Tim, I am in love with this list (even if you left Clue off and kept Dream a Little Dream on). Just amazing. What a great list. Pax -- Nothing impressive. I was able to do it quickly simply because my favorite movies haven't changed in years. 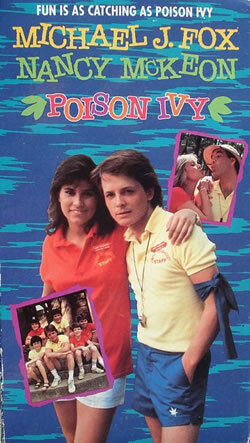 And, for the record, the Drew Berrymore Poison Ivy's got nothing on the Nancy McKeon Poison Ivy...or something like that. Shawn -- It really is a terrible movie. I honestly can't quite put my finger on what it is about Dream a Little Dream that I like so much. 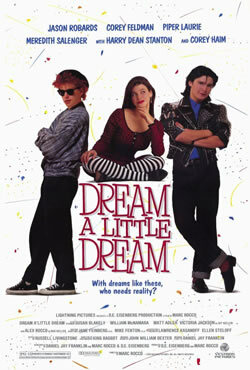 Dream a Little Dream's appeal is simple: Meredith Salenger was hot and Corey Feldman was hot. And if you were one who didn't find Corey Feldman attractive, you had Corey Haim as your backup. So that's three hot young people, some adorable old people, and an epic Michael Jackson dance scene. What's not to like? Excellent list! I definitely agree with quite a few on there! 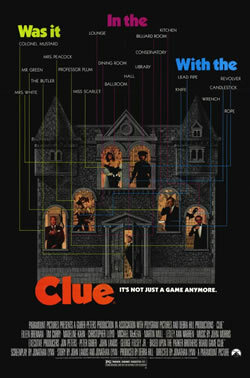 Too bad Clue was just an honorable mention - One of my favorites of all time! That's a great list. I had to leave off FBDO off mine, but it's definately in my top 20. I honestly never thought I'd meet anyone outside of 1988 who would list Summer School in their top 10. 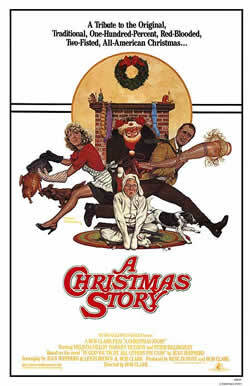 I loved that movie! 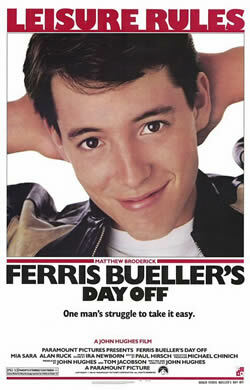 Brian -- Completely serious when I say this movie was a huge influence on me pursuing a career in education. Great list. 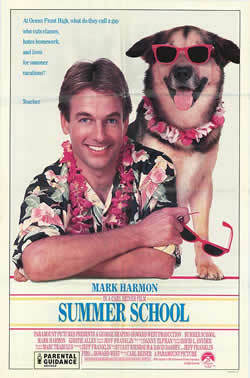 There's some movies on there that totally brought me back…Summer School and Dream A Little Dream, for example. These were movies that were shown over and over on cable channels in the '80s and my brother and I would watch them endlessly during our summer vacations. 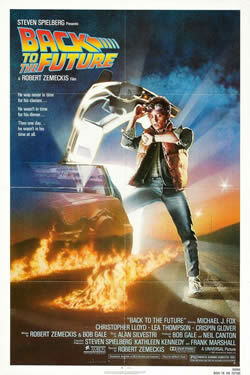 Man, bummer I forgot to put Back To The Future on my Top 10. Oh well. It would've taken me forever to do it if I really had to think about it. Thanks for sharing, dood!